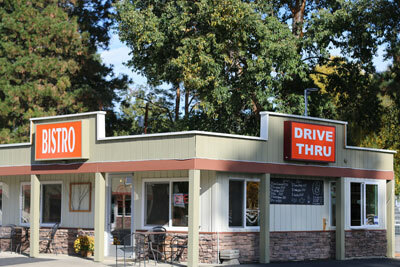 No matter which end of Cle Elum you enter, you are quickly greeted by one of the renowned Gunnar establishments. Whether you are searching for a cup of coffee over breakfast or market fresh produce and floral arrangements, Gunnars has you covered. If you're visiting from the Seattle area, a short drive off of exit 84 on Interstate 90 will land you at the front door of the original Gunnar's Cafe. This quaint lodge-inspired cafe offers a full menu of made-from-scratch breakfasts, soups, salads and more. 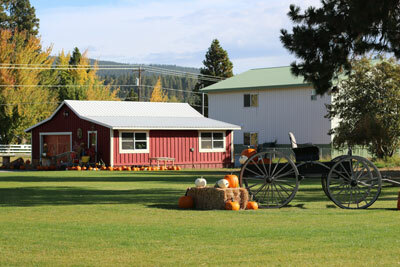 As the only location grounded in the heart of downtown Cle Elum, it is a short walk to shops and specialty stores. Grab a bite to eat, order a pumpkin spice latte and window shop down First Street. On the other side of town, visitors have the unique opportunity to visit both Gunnars Bistro and newly opened Gunnar Floral. With towering pines and fall harvest displays, the corner Bistro and adjacent floral shop welcome weary travelers into fall season. Pop into the Bistro and indulge in hearty bistro fare. After a bite to eat, step across the way to Gunnars Floral. There, you will discover more than just flowers hidden inside! The folks at Gunnars Floral understand bouquets, and create one-of-a-kind flower arrangements in the rustic barn shop. Gunnars Floral is also a fully stocked produce stand! While in the peak of fall harvest season, they will be carrying organic squash, potatoes, onions, pumpkins and apples. It sounds like the perfect menu items for our favorite fall soups and dishes! Whether it's coffee, lunch, flowers or organic produce, Gunnars has created the trifecta to satisfy all. Share your favorite Gunnars location with us on Facebook, Instagram and Twitter!